With soft buttoned back pillows covered in durable Sunbrella® fabric, the Vineyard 3-Piece Deep Seating Set provides the ultimate spot for relaxation. 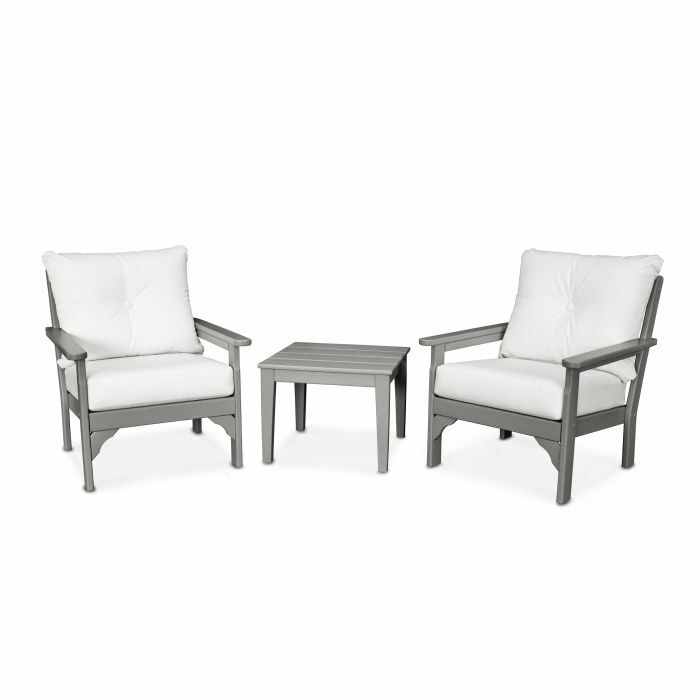 Perfect for creating a cozy spot on the front porch or a retreat on the back patio, this all-weather set also includes a spacious 22" end table. Chairs include quick drying, durable cushions covered in Sunbrella® fabric that resist weather, salt, sun, mold and mildew.